Temperatures across Northats will begin to rise from tomorrow to 16C and into Thursday it should be around 18C and sunny for much of the day. Good Friday will see temperatures jump again up to 21C and 22C on Saturday with long spells of sunshine. Easter Sunday will see it slightly cooler at 20C and Easter Monday 17C with showers forecast later that evening. The Met Office forecast reads: "Fine and often sunny through the period, with any overnight mist and fog quickly clearing during the mornings. Very warm, although staying cooler along the coast, with onshore winds. "The second half of the Easter weekend will slowly turn more changeable and cooler, with outbreaks of rain and stronger winds spreading in from the northwest. However, some southeastern parts could remain dry, bright and fairly warm especially through Sunday and at first on Monday." The rest of April is described as 'more changeable' across the UK. 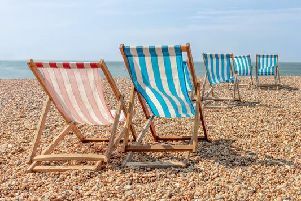 The long-long forecast predicts: "For the remainder of April the weather looks set to become generally more changeable across the UK with showers or longer spells of rain, as well as some periods with stronger winds. 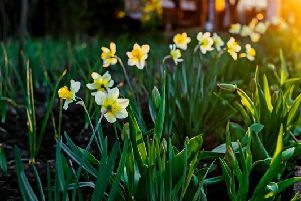 "Despite this, there will be some drier and brighter interludes at times and overall, temperatures should be around average for the end of April. As it often the case at this time of year, there may be some marked variations in temperature across the country."